We knew exercise is good for you, but we now know it can make you live longer. The news comes from Brigham and Women’s Hospital, and the National Cancer Institute. Researchers actually figured out how many years of life you can gain by being physically active. This applied to various exercise levels, among people of all ages and body sizes. 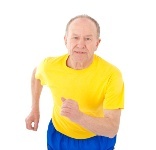 If someone over 40 adds a “low” amount of exercise, like 75 minutes of brisk walking each week, he or she will gain 1.8 years of life (compared to being inactive). This is the minimum level—and any exercise performed above this will then help people live longer. For instance, if brisk walking is increased to at least 450 minutes per week, the gain will be 4.5 years. Similar patterns were consistent with people of normal weight, the overweight, and the obese. Such interesting facts came from six different studies, the results of which were pooled together. This type of exercise was called “leisure-time physical activity,” and it was meant to be anywhere from moderate to vigorous. In other words, it is physical activity that you do for the direct reason of improving your fitness levels. The study comprised more than 650,000 people who were followed for an average of 10 years. There were 82,000 deaths in that time. Participating in a low level of leisure time physical activity of moderate to vigorous intensity (75 minutes of walking per week) was linked with a 19% reduced risk of death. This translates into nearly two years extra life. For those who did about 150 minutes of brisk walking per week (not an extraordinary effort), the gain in life expectancy was about 3.5 years. These benefits were seen in both men and women. For people who are above normal weight, exercising at 150 minutes per week was linked to an amazing 7.2 years of extra life. Clearly, this study reinforces the point that being physically active is unmatched in preventing disease, and helping you live better and live longer. It may be particularly interesting for people who are inactive right now, searching for motivation to try and get moving. Living longer might be the motivation you need! Moore, S.C., et al., “Leisure Time Physical Activity of Moderate to Vigorous Intensity and Mortality: A Large Pooled Cohort Analysis,” PLoS Med. 2012; 9(11): e1001335. doi:10.1371/journal.pmed.1001335.